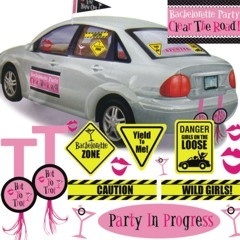 A Bachelorette party is a very special, and one of the most remembered times on a bride’s journey to her special day. 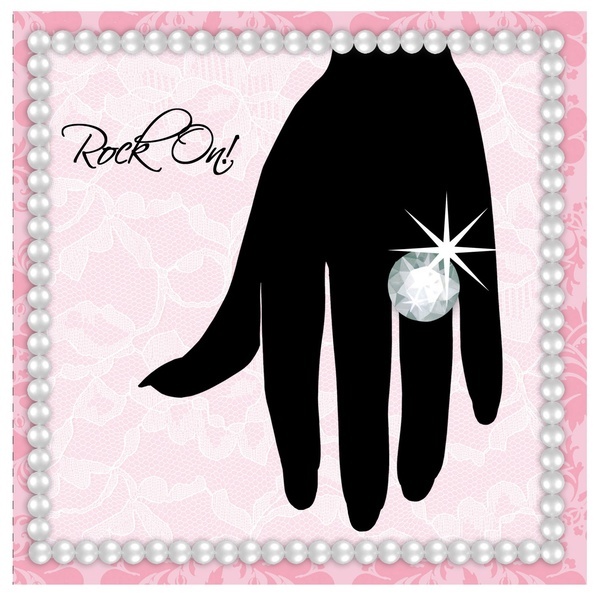 Although many lucky brides are blessed with friends and family who end up throwing numerous showers, brunches, and teas- there is nothing like the final fling before the ring with your closest, and best girls. 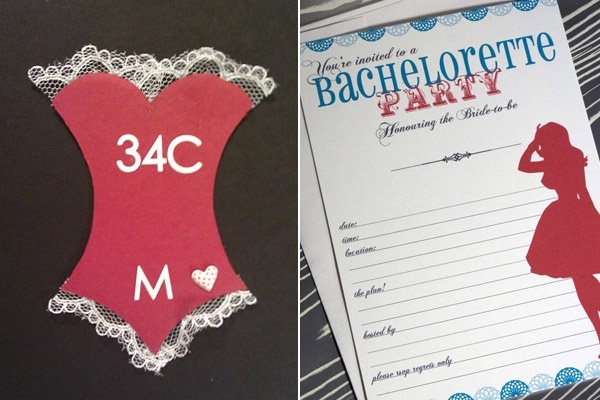 With all the planning involved, making sure this special night is arranged to a tee is a feat in itself- nothing says “I support you” more than going the extra mile to make that coveted night as special and unique as possible. 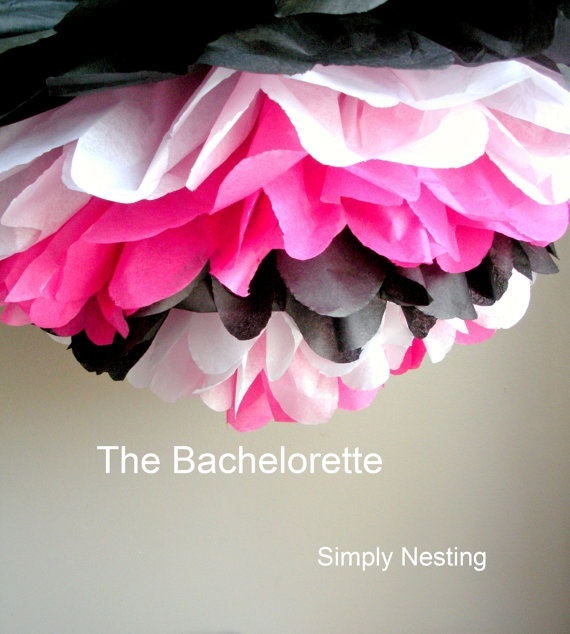 Here are some great inspirations and ideas to give any bachelorette that special added touch. 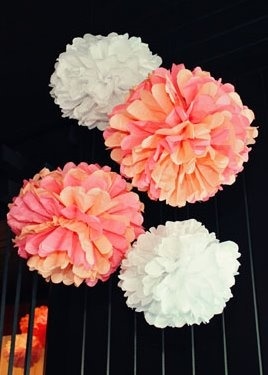 Decor may not be the most important detail of a bachelorette party, however if you are planning something like a girl’s night in, dinner party, cocktail party etc.. having beautiful decor will make the evening even more special an out of the norm. 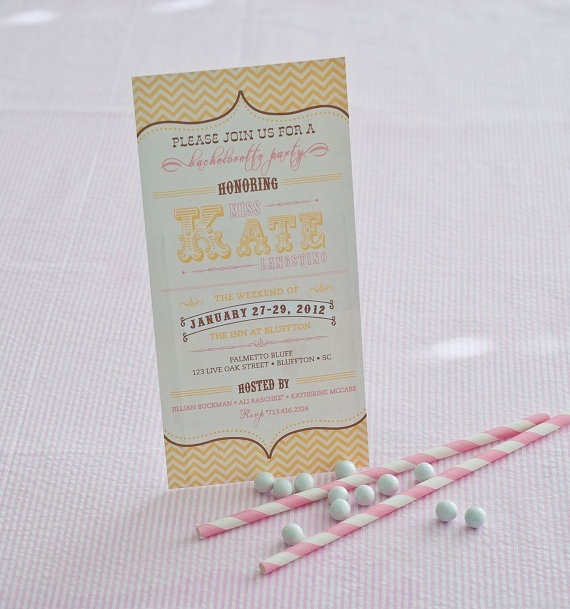 Pick girly colors, or colors that work with the theme and start from there. 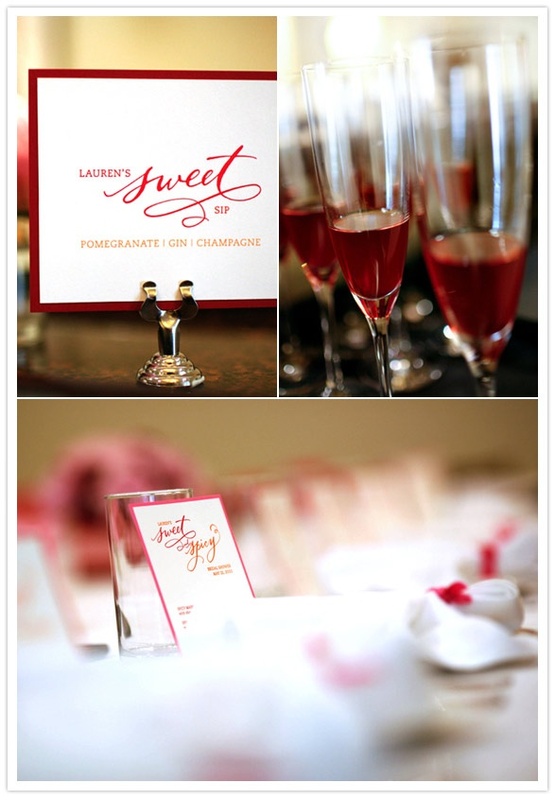 From the linens to the cocktail straws, these little touches will not go unnoticed. Pomanders are very cute and easy to make. Not to mention easy on the wallet. Basically all you need it tissue paper, wire and ribbon. Here is a great DIY tutorial courtesy of Martha Stewart. Speciality cocktails and desserts are easy and delicious. 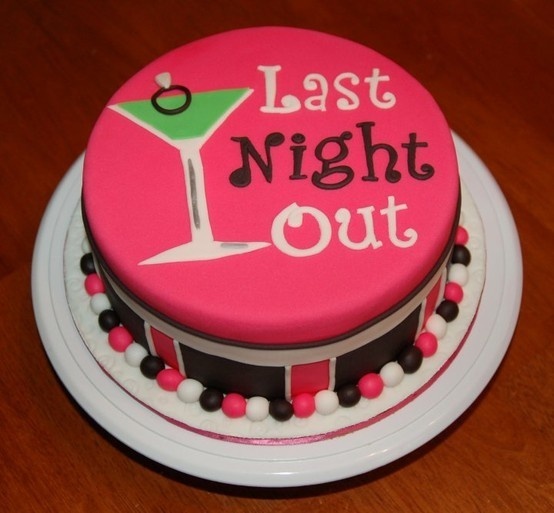 If you have the baking or mixology gene this should be an easy added touch for those of you who are talented in the kitchen or behind the bar. Try something like a champagne cocktail to satisfy everyone’s palate. Integrate a theme. 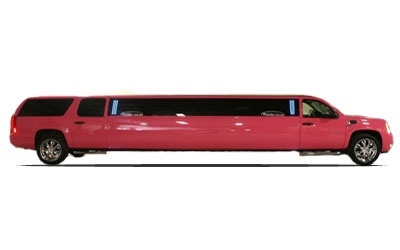 It does not have to be over the top, but makes for an even more unique, unforgettable evening. 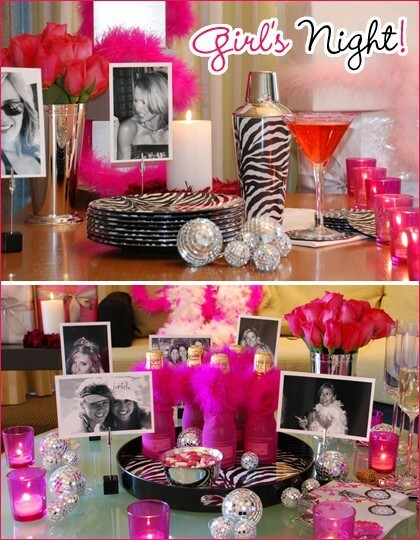 Animal print, black and pink, or even an 80’s theme are easy to execute. Decorate the car. 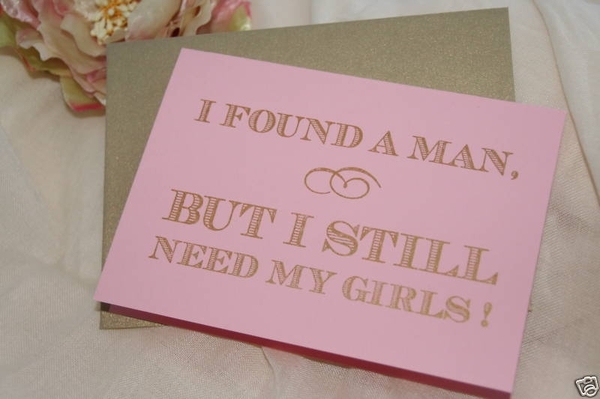 Yes, it is corny and cliché however you only get one chance to do this for your friend. 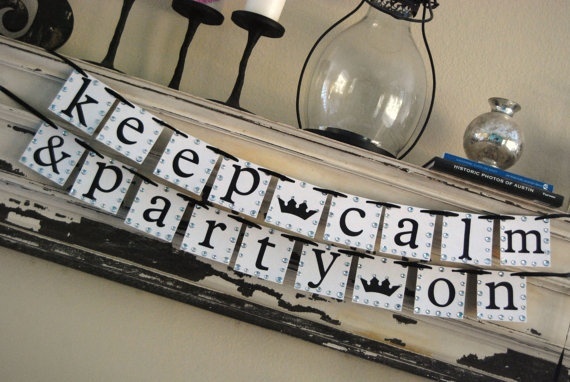 These decals are inexpensive and can be found at any Party City. Cute accessories like these DIY buttons are super easy to make and turn into great keepsakes. 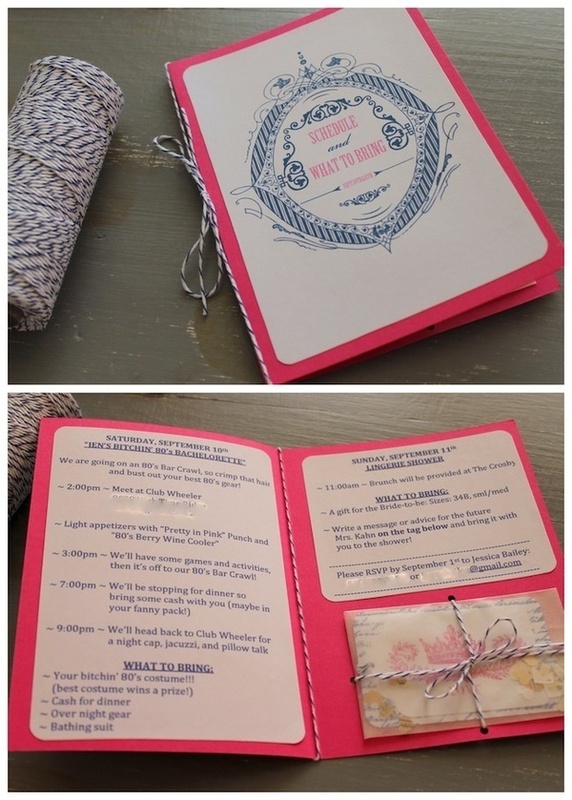 Make beautiful itineraries for all the party guests. 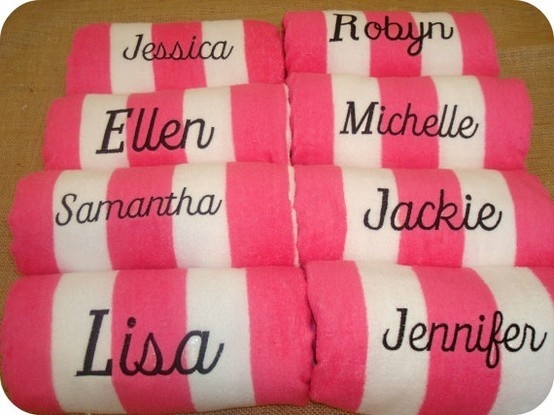 These will keep everyone on the same page and are especially useful for those coming in from out of town. 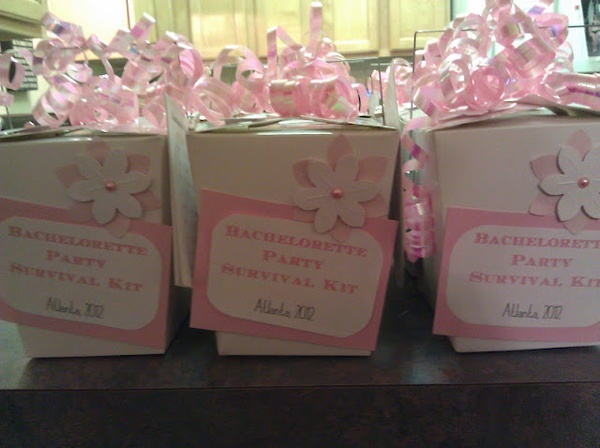 Here are a few more fun Bachelorette Party/Bridesmaid/Bridal Shower ideas I have come across. 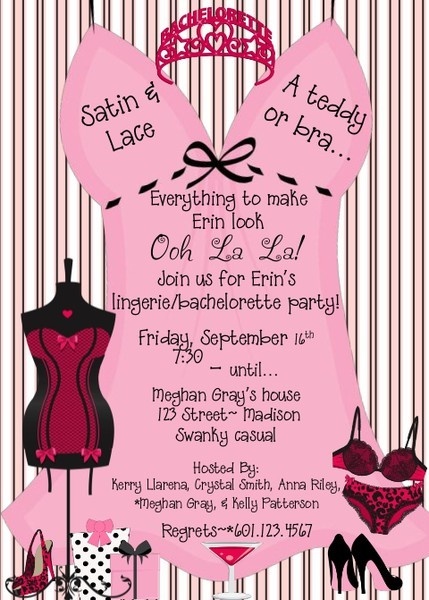 I always love a good trip to the spa with my ladies, However, these days everyone is always on a budget so why not host your own spa shindig? You can always have people come to your house for manicures, pedicures, and other various spa services. If you are feeling thrifty though why not do it all yourself? 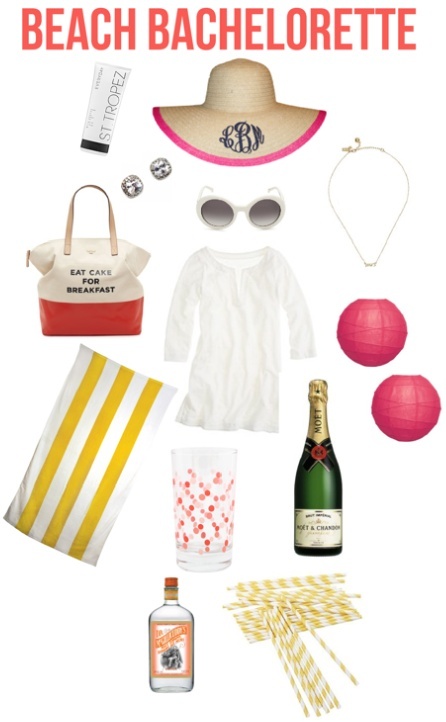 This inspiration board is full of cute ideas. 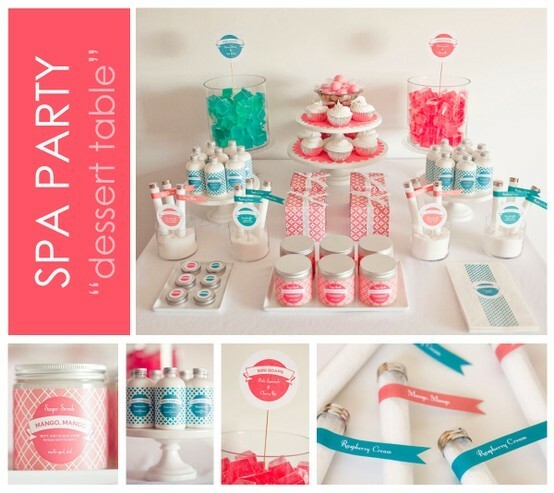 Dessert Table, Lotions, Favors, and all kinds of other goodies. I think i would personally make this a brunch time kind of shower. What a fun way to spend an afternoon! 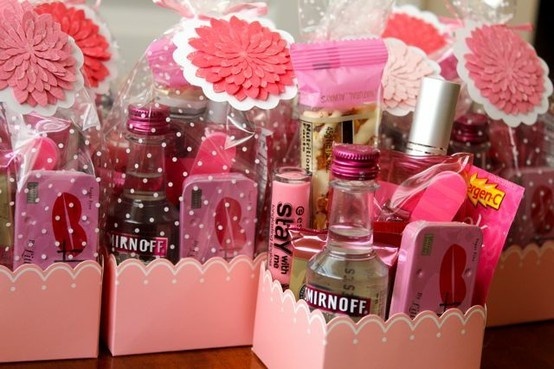 Really cute favor ideas. 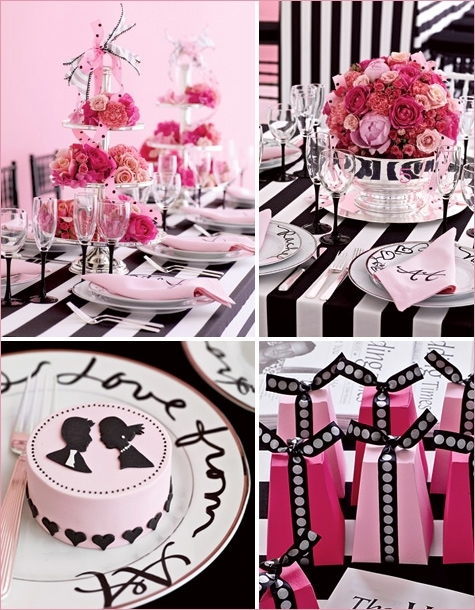 Also kind of goes with the pink and black theme from my last post. 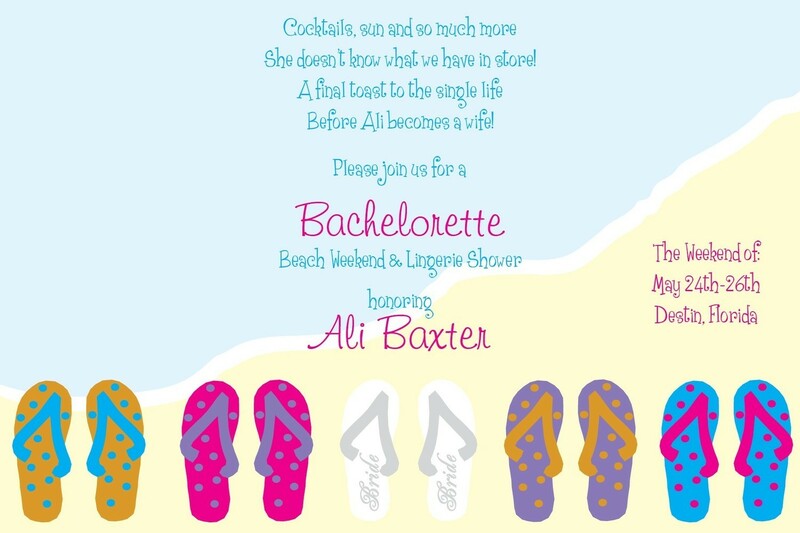 Great inspiration board for a beach themed bachelorette bash. I think the monogrammed floppy hats would make a fantastic gift. Check out Marley-Lilly for great monogrammed hats and design ideas. 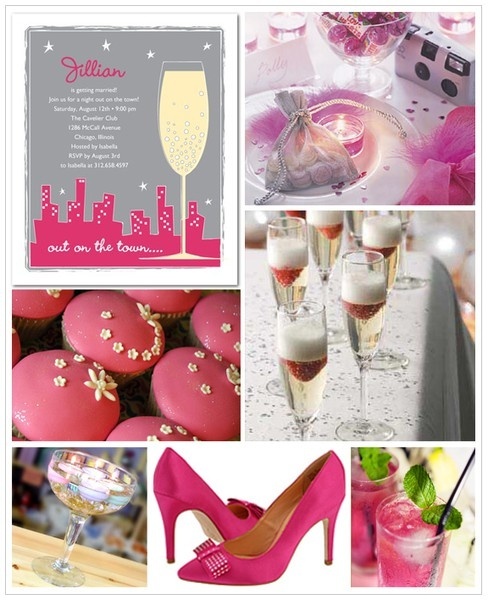 More great pink inspiration for a girl’s night out. 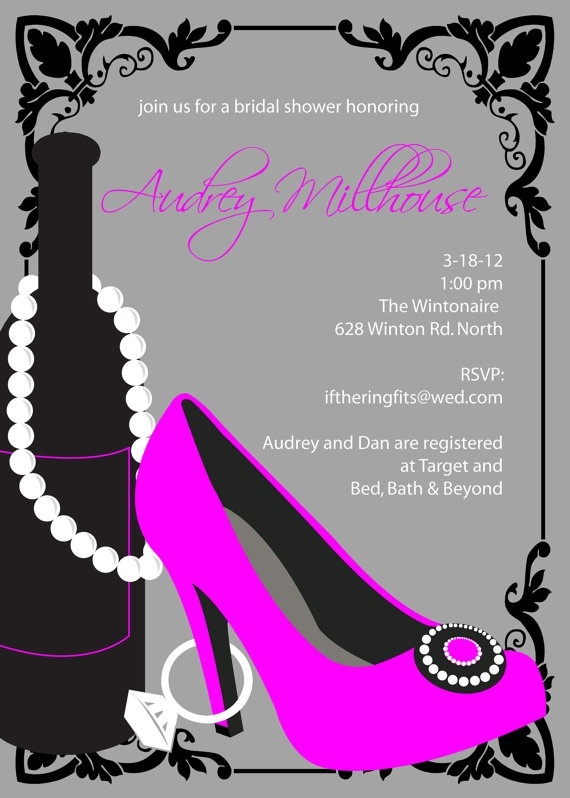 From the invites to the drinks and cupcakes. Well executed and not over the top. Another great survival kit jam packed with tylenol, candy cigs, candy necklaces, band-aids and of course a rubber. 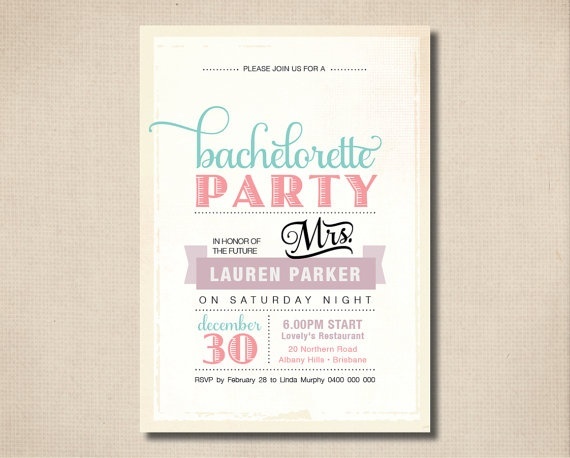 You can always personalize these according to your theme of the evening. In tradition of vintage British propaganda posters “Keep Calm and Carry On” knockoffs have been popping up all over the place. From supporting your favorite sports team to showing love for your favorite type of dog. These are a cute, fun way to show pride for whatever you support. 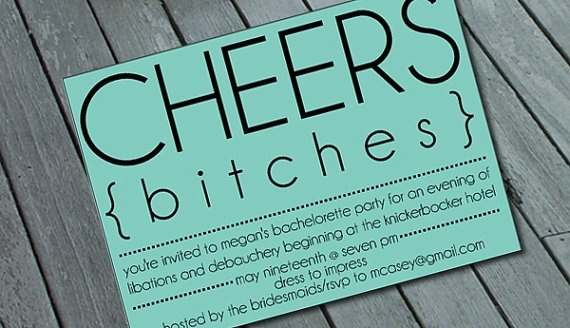 Personally, I support throwing a fabulous Bachelorette Party. I came across these the other day and absolutely had to post these adorable finds. 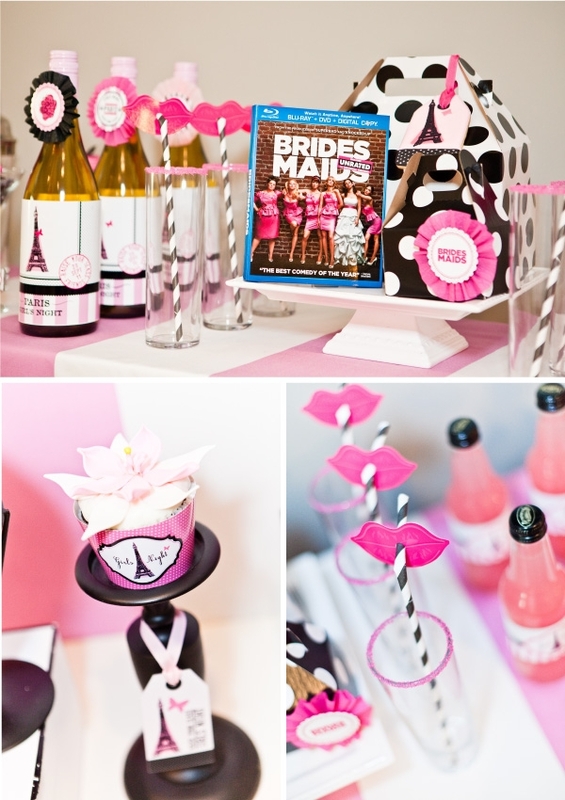 I love how they have integrated these into a girly party theme. 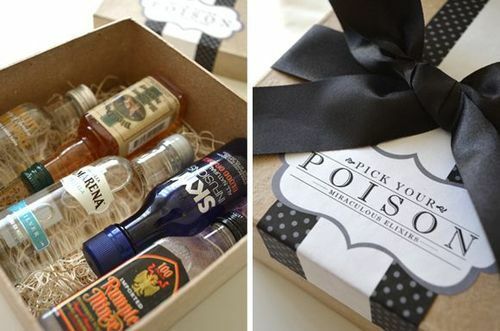 Pictures courtesy of Pinterest. 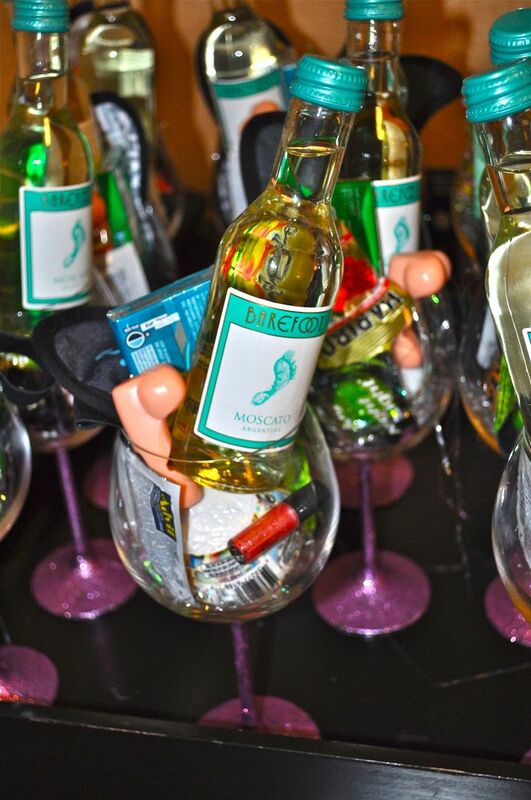 Happy April to all my fellow bachelorettes out there! 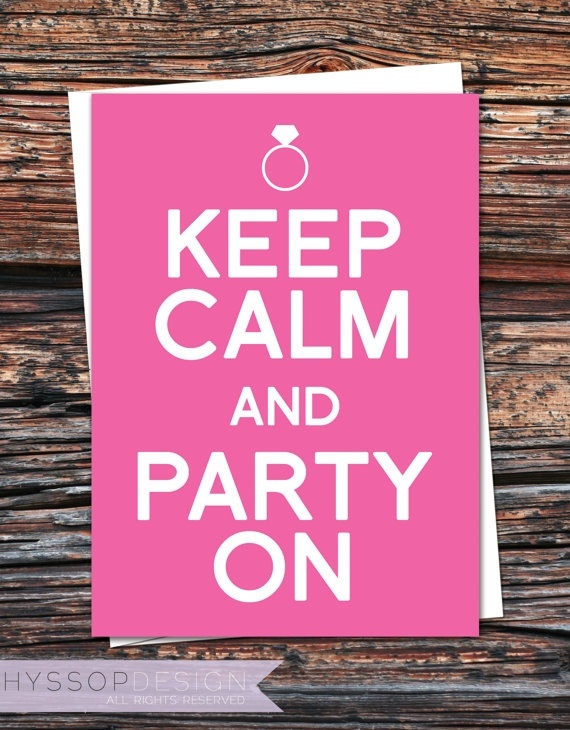 Wedding season is upon is which can only mean one thing… Bachelorette parties are inevitable! 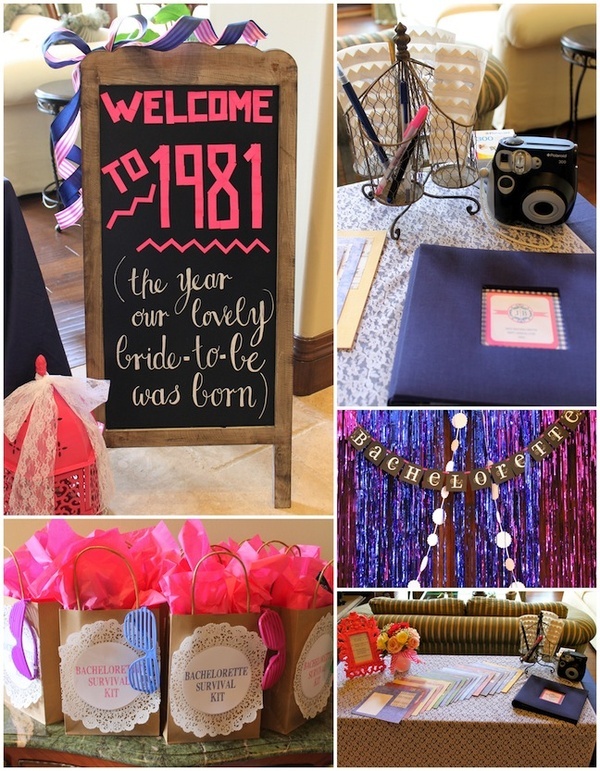 Here are a few cute trends I have recently come across which make for great bachelorette, or bridesmaid favors. 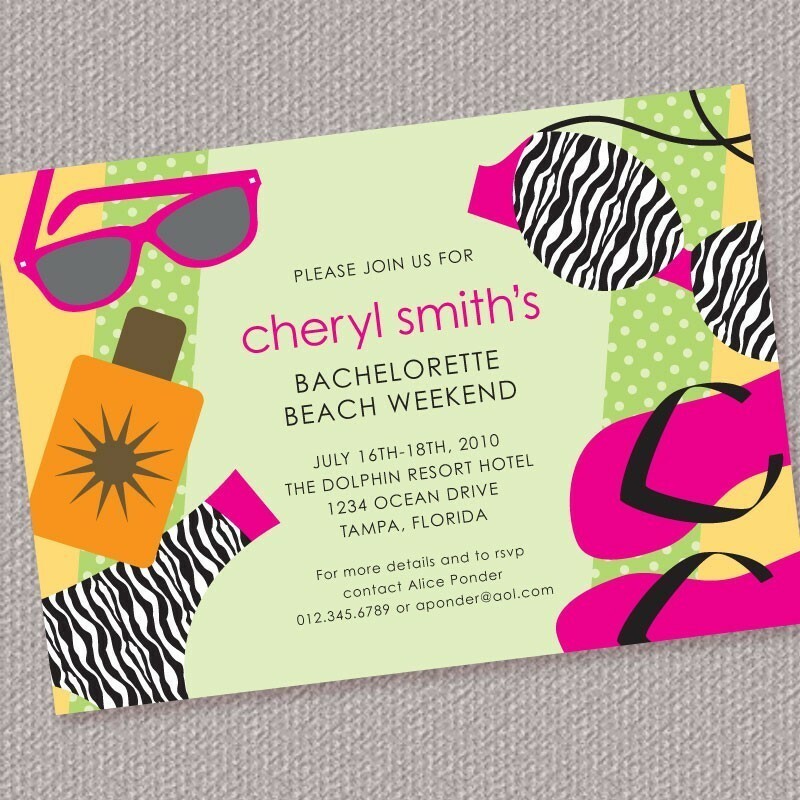 With the warm weather arriving beach trips make for great bachelorette weekends or just a fun getaway with the girls. 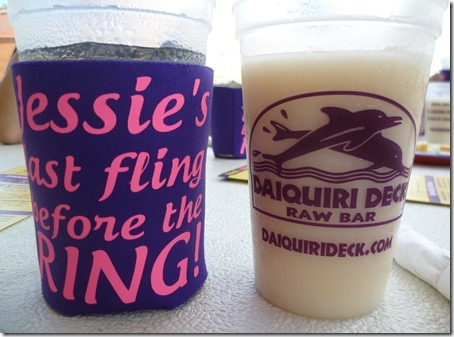 These over sized beach towels are cute, original, and can be used well after a fun weekend. It is becoming increasingly more popular to DIY and not only is it a cost effective idea, but it adds that extra little touch. It is so great to give a gift that you have made yourself is a true gesture of love and appreciation. 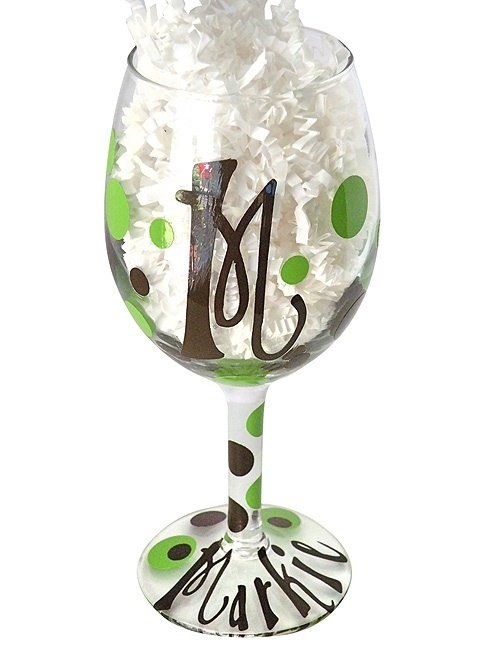 These hand painted wine glasses are not only super cute, but easy to make and personalize. 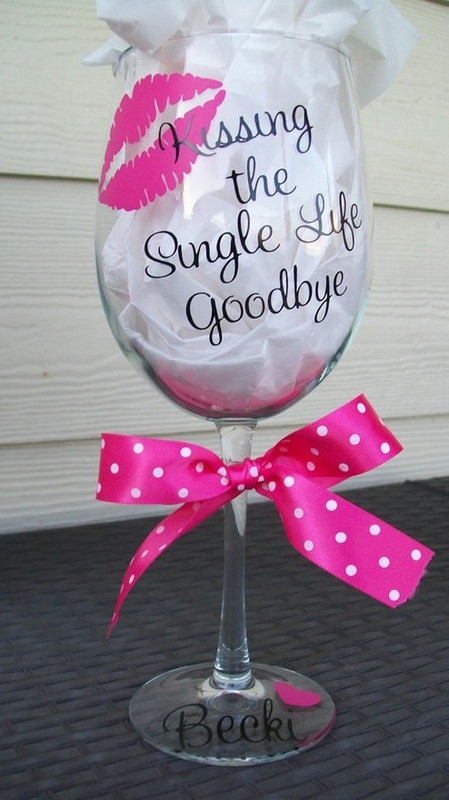 Perfect for bachelorette gifts. 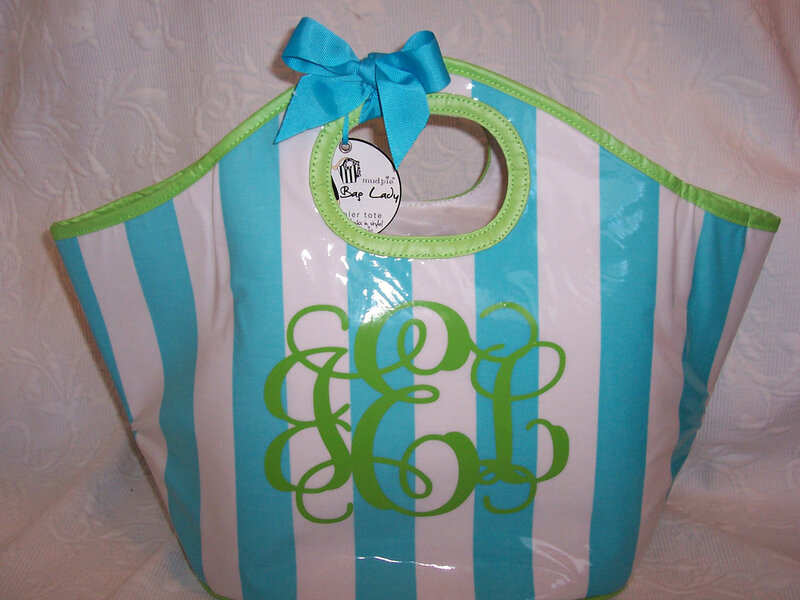 I received a monogrammed cooler similar to this as a birthday gift last year and have used it on more occasions than I can count. They come fairly inexpensively and are fun to customize according to taste. 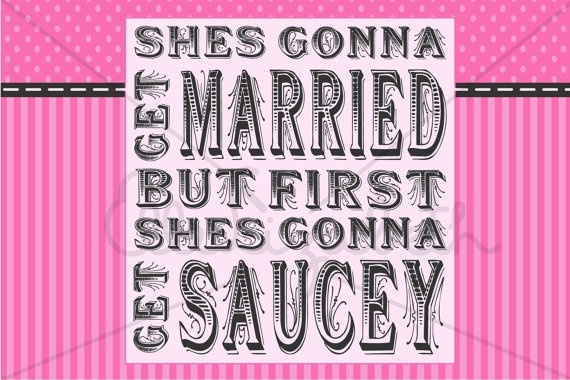 I found this particular one on Etsy and it runs about $28. 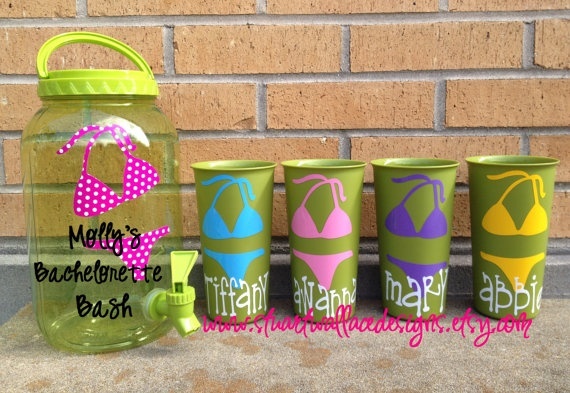 These flasks are too cute and can be found in an array of different prints. 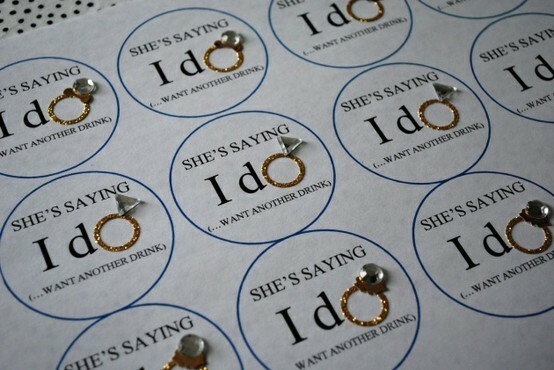 Not only are they a fabulous favor, but they also come in handy for those weddings who offer minimal alcohol options or a cash bar. These were found on Etsy and run about $142 for 8 flasks with any print. 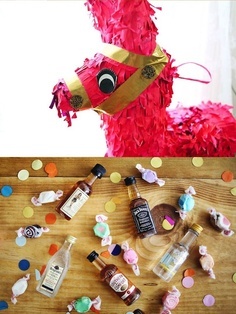 I love, love, love ideas like this that you have the freedom to be creative with. These are also ultra budget friendly. Chinese containers can be found for around $1 a piece. When it comes to decor and fillers the sky’s the limit. 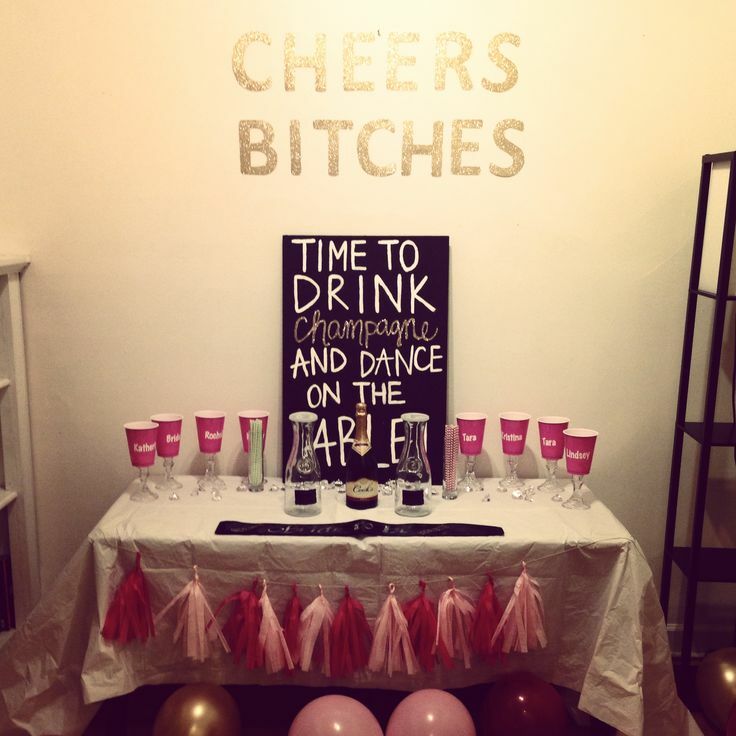 Have fun and fill according to the theme of the party. Hitting the city for a night of drinking, dancing, and debauchery? Try filling with aspirin, gum, lip gloss, Dr. Scholls fast flats, and maybe even a couple minis.